The Section of Mathematical and Information Sciences of the Association of Hungarian PhD and DLA Students and the PhD Students’ Union of the University of Pécs anticipates. Your attendance at the 4th Winter School of PhD Students in Informatics and Mathematics, which will be held between: 24th-26th February, 2017 at the University of Pécs, Pécs, Hungary. improve professional skills in an intensive workshop. Each year, the workshop has a theme relevant for a wide audience. Internationally renowned scientists will give a number of in-depth lectures; these will be accompanied by seminar sessions where attendees will be able to explore topics in an interactive, hands-on way. This year’s topic is big data, and the workshop is taught professors from the Eötvös Loránd University, Faculty of Informatics (ELTE IK), Big Data Laboratory (BDLAB). All participants are invited to present their work in the form of posters, be it relevant to the topic of the workshop or to some other area of Informatics or Mathematics. Each presented poster participates in the competition for the best poster award which will be accompanied with a remuneration of total 100 000 HUF. Posters should be submitted via email to the contact address (mito [at] dosz [dot] hu) after registration. The printing charge of the submitted posters is included in the registration fee! All poster abstracts will be published in the conference proceedings, which will have an ISBN number. The registration fee is: 29 000 HUF, which covers all expenses, including the meals, the printing of the submitted posters and the accommodation in Hotel Arkadia Pécs**** for the 2 nights. Should you have special requests regarding accommodation, please contact the organizers directly; we are flexible on the details. A special price of 19 000 HUF is available for the full members of the Section of Mathematical and Information Sciences of the Association of Hungarian PhD and DLA Students and members of Neumann János Számítógép-tudományi Társaság (NJSZT). The deadline for the registration is the 24th of January, 2017. Extended deadline for the registration is the 10th of February, 2017. Poster submission deadline is the 10th of February, 2017. Registration is complete when the registration fee is transferred to the bank account of the Association of Hungarian PhD and DLA Students. The transfer remark should contain the keyword “MITO” and your name. 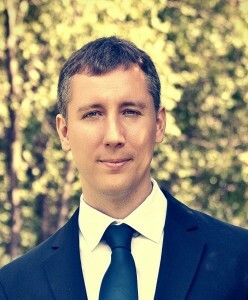 Dr. Sándor Laki received the MSc and PhD degrees in computer science from the Eötvös Loránd University, Budapest, Hungary, in 2007 and 2015, respectively. 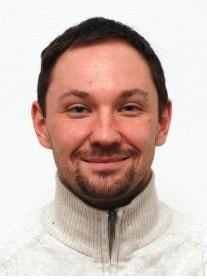 He is currently working as an assistant professor at the Department of Information Systems, Eötvös Loránd University. His research interests focus on active and passive network measurement techniques, traffic analytics, IP geolocation. He is the author of more than 20 peer-reviewed papers including publications at INFOCOM, ICC and SIGCOMM. Since 2015, he is a senior member of the Communication Networks Laboratory – a joint laboratory of Eötvös University and Ericsson Research, coordinating joint projects in different field of computer networking and IoTs. Recently, his interest has shifted towards data driven applications in the field of IoTs and telecommunication networks. In the past years, he has participated in various national, EC and EIT Digital projects (FP7 OneLab2, FP7 NOVI, FP7 OpenLab, EIT Digital SmartUC, EIT Digital FITTING, FP7 XIFI and FP7 FI-CORE). Currently, he is the responsible lecturer of the course “Computer Networks”, “Big Data Architectures” and “Big Data Analytics” at Eötvös Loránd University. Gergő Gombos is an assistant lecturer at the Department of Information Systems, Eötvös Loránd University, Budapest, Hungary. He received his Computer Science MSc degree from Eötvös Loránd University in 2012. In the same year he started the Doctoral School of Informatics. His PhD topic contains the cloud systems, semantic web, big data and distributed systems. He also interests on IoT technologies and computer networking too. He teaches Computer Networks, Big Data Analytics, Big Data Architecture and Modern Databases (NoSql). He participated some european projects, like FP7 NOVI, FP7 XiFi, FP7 Fi-Core and FI-PPP I3H. 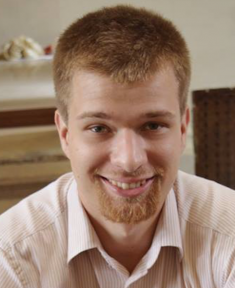 Márton Balassi is a Solutions Architect at Cloudera and a PMC member at Apache Flink. He received his Computer Science MSc degree from Eötvös Loránd University in 2014. Márton focuses on Big Data application development, especially in the streaming space. He is a regular contributor to open source and has been a speaker of a number of Big Data related conferences, including Hadoop Summit and Apache Big Data and numerous Big Data related meetups recently. DOSz Matematikai és Informatikai Tudományok Osztályakedd, február 28th, 2017 at 11:34de.